THIS WEEK’S OTHER TWO FEATURED BOOKS, “FIXING BOO BOO,” BY PAT STANFORD AND “MAZE,” BY KATYA MILLS, CAN BE FOUND BY SCROLLING DOWN BELOW THIS POST, OR BY CLICKING THE AUTHOR’S NAME ON OUR AUTHOR’S PAGE. SUMMARY: In this major tour de force, John Guzlowski traces the arc of one of the millions of immigrant families of America, in this case, survivors of the maelstrom of World War II. His narrative structure mirrors the fractured dislocation experienced by war refugees. Through a haunting collage of jagged fragments―poems, prose and prose poems, frozen moments of time, sometimes dreamlike and surreal, other times realistic and graphic―Guzlowski weaves a powerful story with impacts at levels both obvious and subtle. The result is a deeper, more visceral understanding than could have been achieved through descriptive narrative alone. This is the story of Guzlowski’s family: his mother and father, survivors of the war, taken as slave laborers by the Germans; his sister and himself, born soon after the war in Displaced Persons camps in Germany; the family’s first days in America, and later their neighbors in America, some dysfunctional and lost, some mean, some caring and kind; and the relationships between and among them all. As Guzlowski unfolds the story backwards through time, he seduces us into taking the journey with him. Along the way, the transformative power of the creative process becomes apparent. Guzlowski’s writing helps him uncouple from the trauma of the past, and at the same time provides a pathway for acceptance and reconciliation with his parents. THE BACK STORY: I was born in a refugee camp in 1948 in Germany. My parents had been slave laborers there. My father spent 5 years in Buchenwald Concentration Camp, and my mother spent 3 years in various women’s camps. After the war, they could not return to their homes in Poland because the Soviets had taken the country over. We came to the US as refugees in 1951. Polish cavalry officers who still mourned for their dead comrades and women who had walked from Siberia to Iran to escape the Russians. In 1979 I started writing about my parents and the refugees and survivors I grew up among. Echoes of Tattered Tongues is my 5th book about them. WHY THIS TITLE? The title comes from a line in my poem “Refugees.” There, I talk about what it was like when we arrived in America. I say we came with “our tongues in tatter, our teeth in our pockets.” For me this is an image that captures the chaotic state of refugees who have survived terrible horrors. They come to the new place in psychological and mental rags, in tatters, deprived of everything except the memory of the horrors. What I try to do in my book is to capture the tattered voices of my parents and other survivors and refugees. Why do I do this? Before she died, my mother told me to tell people about what happened to her and the millions of people who were taken to Germany as slave laborers. WHY SOMEONE WOULD WANT TO READ IT: I think it’s important to hear stories about terrible things. It connects us to the past and also prepares us for the future. But what is as important as hearing the stories of terrible things is hearing the stories of hope and struggle and survival. I think hearing these stories makes us more human, more humane, and stronger. The son of two Nazi concentration camp prisoners, John Guzlowski was born in a Displaced Persons camp and immigrated to Chicago with his little sister and Polish mother and father shortly after WWII. This devastating, one-of-a-kind collection uses poems and short essays to reveal unspeakable moments from his parents’ wartime experiences, and the less-than-open arms America mostly extended to millions of families fleeing the ruins of Europe. (Matt Sutherland, “Devastating, one-of-a-kind collection.” Foreword Reviews, Spring 2016; https://www.forewordreviews.com/reviews/echoes-of-tattered-tongues/) Guzlowski, a Polish-American writer born in a German refugee camp after WWII, recounts the horrible atrocities enacted upon his parents during the war in these straightforward, gut-wrenching narrative lyric poems. These snapshots of Nazi German rule illustrate that hardship didn’t end with German surrender; the aftershocks radiated through successive generations. Guzlowski’s simple language highlights the violence without offering any comment or consolation…each word means more in the sparse, unadorned language Guzlowski employs. Poems of this nature are not meant to alleviate the pain, but to help keep a record of it; to serve as a reminder that silence is not a crime, but forgetting is. (“Gut-wrenching narrative lyric poems.” Publishers Weekly, April 4, 2016; ttp://www.publishersweekly.com/978-1-60772-021-8). “Like most immigrant kids, John Guzlowski never wanted to write about his Polish parents and the world they left when they came to America…. Unlike most stories of this kind, however, Guzlowski’s is told mostly in poems, which forces the author to wield formal control over a material that’s painful and distressing. 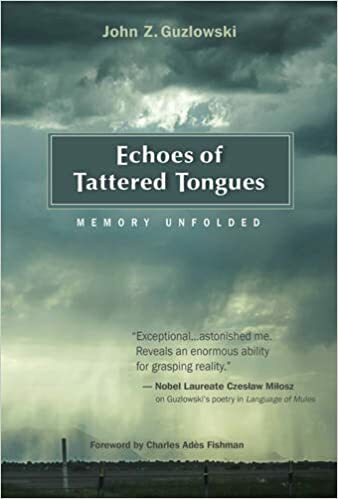 Luckily for us, in Echoes of Tattered Tongues: Memory Unfolded (Aquila Polonica, 2016), Guzlowski writes taut poems―he cares about the narrative as much as the voice or the image….These beautifully realized lines not only showcase Guzlowski’s poetic sensibility but also keep the poem from slipping into sentimentality….Guzlowski aims to write not only about his parents’ lives “but also about the lives of all those forgotten, voiceless refugees, DPs, and survivors that the last century produced, no matter where they came from.” In doing so, he appeals to our shared desire to understand how the present continues to be shaped by the past. (“Taut…beautifully realized.” World Literature Today, April 13, 2016; http://www.worldliteraturetoday.org/blog/book-reviews/channeling-other-review-echoes-tattered-tongues-john-guzlowski) “Powerful…Deserves attention and high regard. To read these poems is to lift the lid on history and risk a step inside. One not only suffers the furnace but also endures, like the poet himself, the human will to counter history’s inferno with an awful fire all its own. The poet’s spare voice sings as austerely as his parents’ trunk cobbled of Buchenwald wallboards. These poems do not flinch even as they take and give a punch: each note the pitch of absence given body, each silence a terrible waiting answered by singed arrival.” – See more at: http://www.polandww2.com/echoes-of-tattered-tongues/echoes-of-tattered-tongues-praise#sthash.2I3ItxwY.dpuf (Kevin Stein, “Powerful…Deserves attention and high praise.” Poet Laureate of Illinois). “Deeply moving. John Guzlowski has written a powerful, lasting, and sometimes shocking book, one in which prose and poetry join hands to document a felt comprehension of the horrors perpetrated by the Nazis in WWII. He tells the stories his parents would have told had they not been living them. Thus these pages honor his forebears and indeed all those who were in the camps. The stories will haunt you but we must read them or fail to grasp what humans can do to humans. Anyone who wishes to consider himself or herself knowledgeable about the world in which, for better or for worse, we live, will read this superb book.” (Kelly Cherry, “Deeply moving. A powerful, lasting, and sometimes shocking book. Superb.” Poet Laureate of Virginia (2010-2012)). 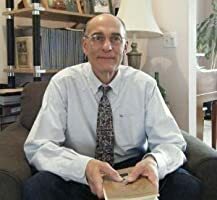 “A poet, writer and retired professor (Eastern Illinois University), Guzlowski has enjoyed 40 years of a successful academic and literary career… Intensely personal, the book is, at the same time, universal. Here’s the secret of Guzlowski’s impeccable use of language to capture the raw suffering of millions through the personal lens: “the bread of sawdust and sorrow…” “the scream that ends in screaming.” The book is an historical and literary revelation: when I first read it, I realized that I did not even remember how many millions of Polish slave laborers were feeding Germany and building up its infrastructure, the machinery of war. Bringing this experience home, through intense, starkly realistic descriptions of dire facts and brutal events, is one of the strengths of Guzlowski’s volume. It should be considered on a par with the work by giants of Holocaust literature – memoirs by Primo Levi, or stories by Tadeusz Borowski… (“Unforgettable. An historical and literary revelation.” Cosmopolitan Review, Winter 2016, http://cosmopolitanreview.com/echoes-of-tattered-tongues/). “John Guzlowski’s rugged poems rise like a land-bridge emerging from would-be oblivion to connect continents, generations, and a deeply felt personal present with the tragic, implacable history of the twentieth century.” (Stuart Dybek, “John Guzlowski’s rugged poems rise like a land-bridge.” award-winning MacArthur Fellow and poet, author of “Ecstatic Cahoots: Fifty Short Stories”). “It’s hard to read this book. Not because the prose is in any way turgid or the poetry difficult in that pretentious way that once was the fashion. It’s hard to read this book because it is so honest. So clear. Like a crystal clear day you get in the cold sunlight of winter…it shines…like seeing into people’s souls… This is a book to hold and to hug, to stroke softly. (Martin Stepek, “This is a book to hold and to hug, to stroke softly…it shines…like seeing into people’s souls.” award-winning poet, author of “For There Is Hope”, Goodreads, https://www.goodreads.com/review/show/1492819406?book_show_action=true&from_review_page=1). Born in a refugee camp in Germany after World War II, Guzlowski came to America with his family as a Displaced Person in 1951. His parents had been Polish slave laborers in Nazi Germany during the war. Growing up in the tough immigrant neighborhoods around Humboldt Park in Chicago, he met hardware store clerks with Auschwitz tattoos on their wrists, Polish cavalry officers who still mourned for their dead horses, and women who had walked from Siberia to Iran to escape the Russians. In much of his work, Guzlowski remembers and honors the experiences and ultimate strength of these voiceless survivors. Guzlowski received his B.A. in English Literature from the University of Illinois, Chicago, and his M.A. and Ph.D. in English from Purdue University. He is Professor Emeritus of English Literature at Eastern Illinois University, and currently lives in Lynchburg, Virginia. AUTHOR COMMENTS: It’s easy to turn away from history, to say that was so long ago, to say that it doesn’t matter to anybody. But I think doing so cuts us off not only from the people who brought us to this stage in history, but it also cuts us off from the lessons history wants to teach us about how to survive and how to love and how to hope. History is our mother — teaching us all the lessons we need to know to go on. The foreword, the preface, and 5 sample poems can be seen “inside the book” on the official Echoes of Tattered Tongues book page. LOCAL OUTLETS: The book is available through most independent bookstores and Barnes and Noble. WHERE ELSE TO BUY IT: It’s available as a hardcover book and as an audible version at Amazon.